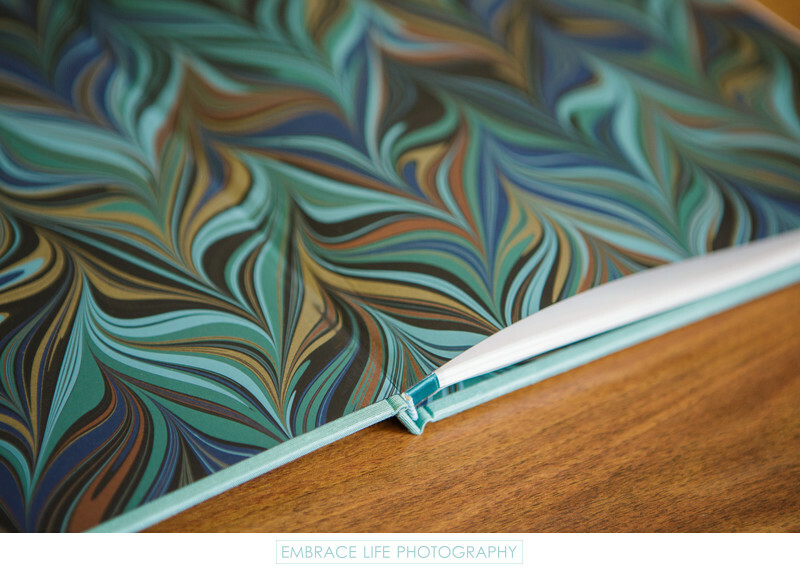 This detail photograph displays the gorgeous, custom end paper included in this Santa Monica portrait photography book. Also visible is a peek of the robin's egg blue silk cover and matching ribbon binding. Its wonderful when quality portrait photography is presented in an equally well-crafted and beautiful, upgraded Coffee Table Book.